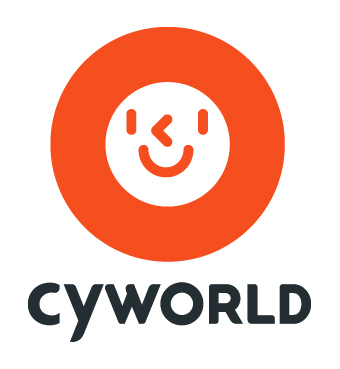 Cyworld is a social networking service created by SK communications. The name can be interpreted in two ways. The first meaning is simply short for "cyber world" and the second meaning is "사이(Korean word for relationship) world." In Cyworld, making the raltionship as friends is called "being 1chon". 1chon means very very close relative like family in Korea. 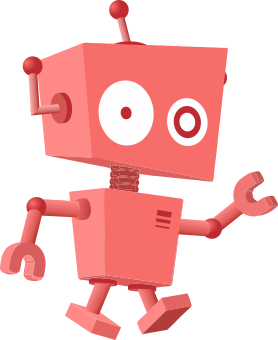 The users can easily update pictures, videos clips, and blogs and share them with other users through what is called "minihompy." It is similar to that of Facebook or Myspace in U.S. The statistics shows that there are about 22,000,000 users in South Korea, which is about the half of the population of South Korea. 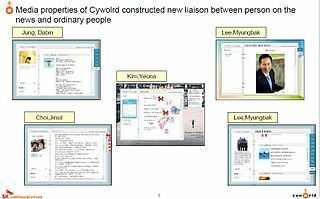 Although it is mainly used by Koreans, the SK communications has expanded the cyworld services into other countries, such as China, Japan, Vietnam, and U.S.A starting on 2005. Cyworld Facts for Kids. Kiddle Encyclopedia.